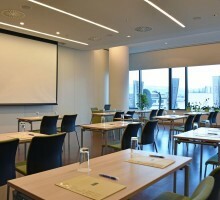 Reci is a new congress hall FORUM offers, located on the north side of congress center between Zemlji and Slovo halls. 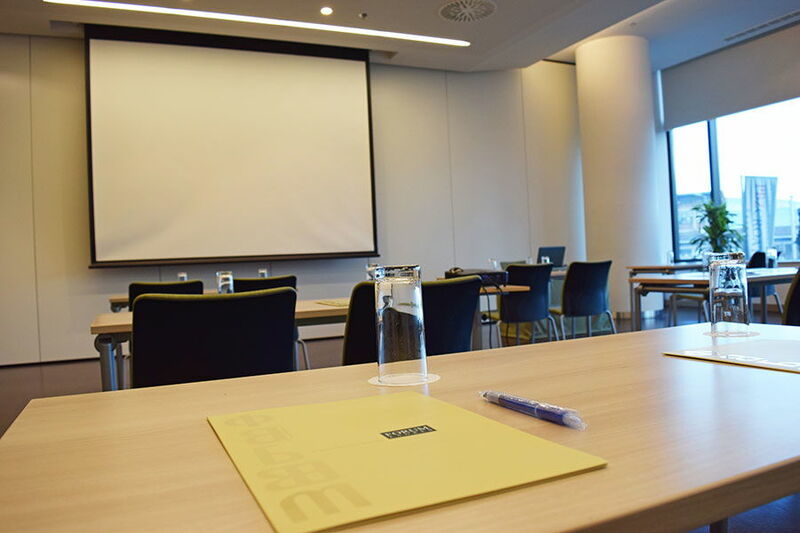 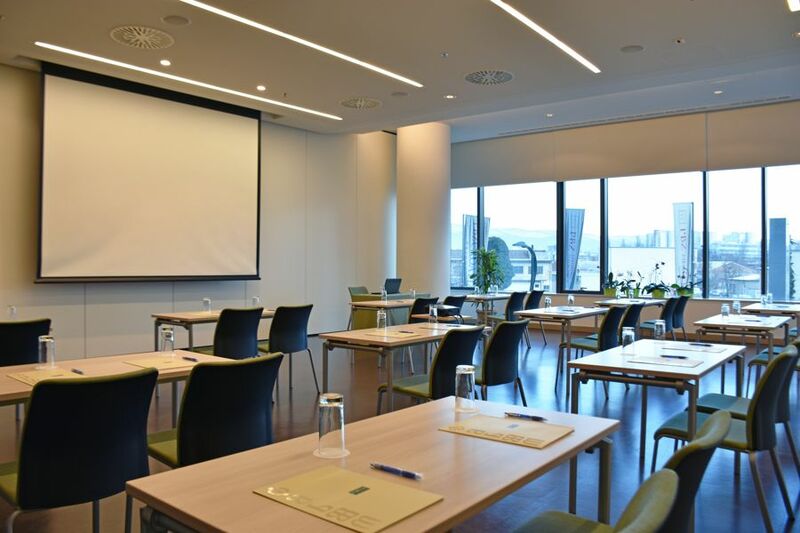 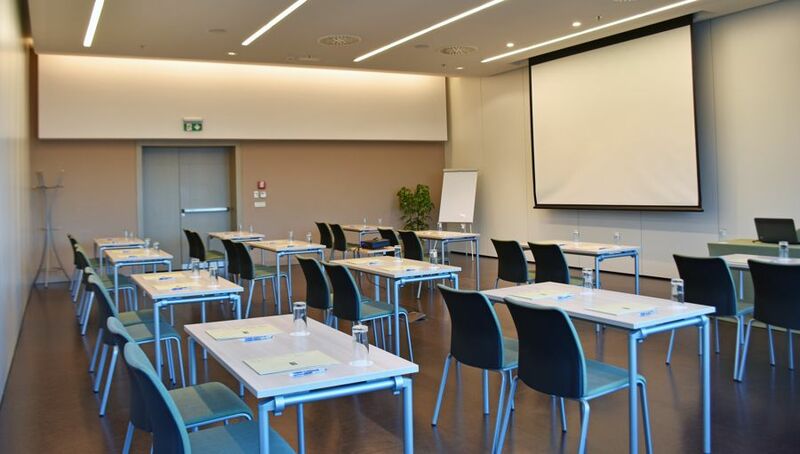 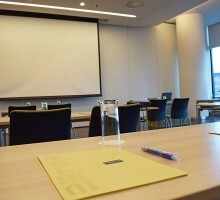 With its medium size of 90m2 and a capacity of 23 persons in U setup, and 60 people in the auditorium setup, Reci is optimal for all types of business events from seminars and workshops to conferences and meetings. 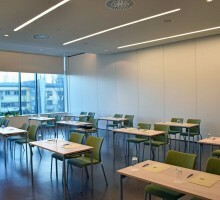 Since Reci hall is separated by a movable partition or track wall form Zemlji and Slovo halls, and is therefore dimensionally flexible, this hall can be combined in three ways. 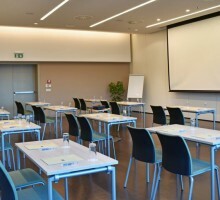 Connected with Zemlji hall it is transformed into a conference hall for 210 people – Zemlji + Reci. 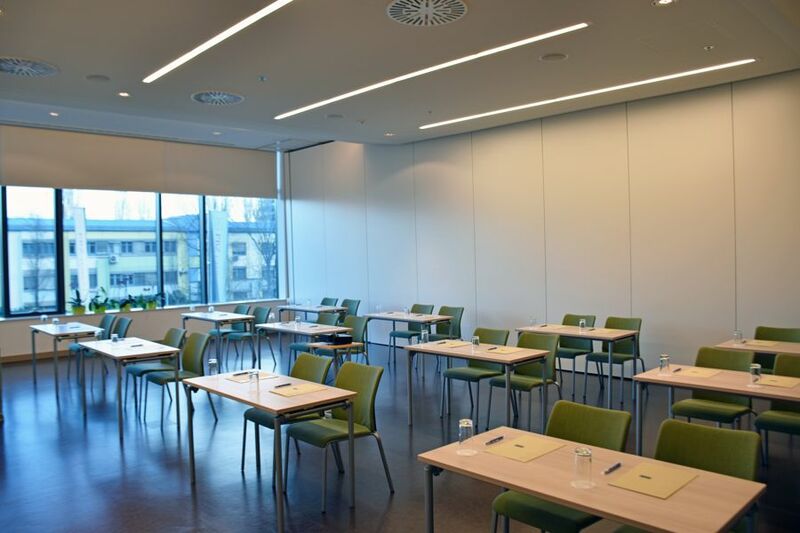 By opening track wall that separates Reci and Slovo hall, these two halls become a conference hall Reci + Slovo, which can accommodate up to 232 persons, and by merging all three halls the biggest, spacious conference hall is formed: Zemlji + Reci + Slovo, with capacity for up to 350 people.